This Chain Mail Lantern is the first of several we are making for a home in California. 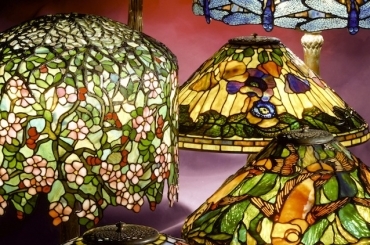 Tiffany Studios used chain mail for many different pendant fixtures and lamps, lending ethereal floating quality to the pieces. 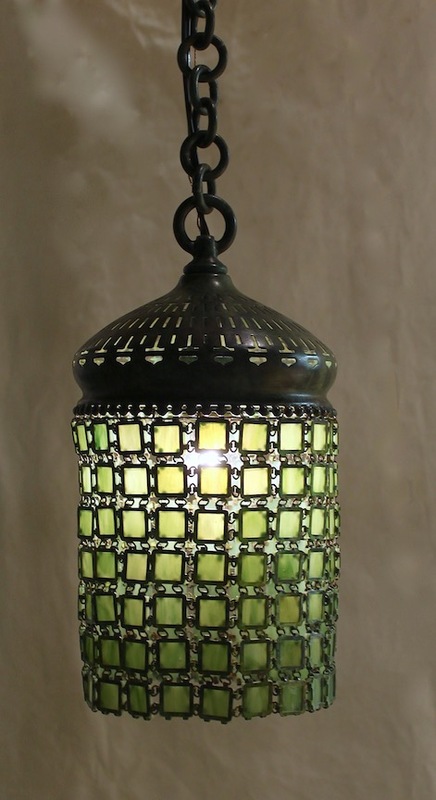 The fixture is made with a pale green glass, and chain mail can be made in any color.